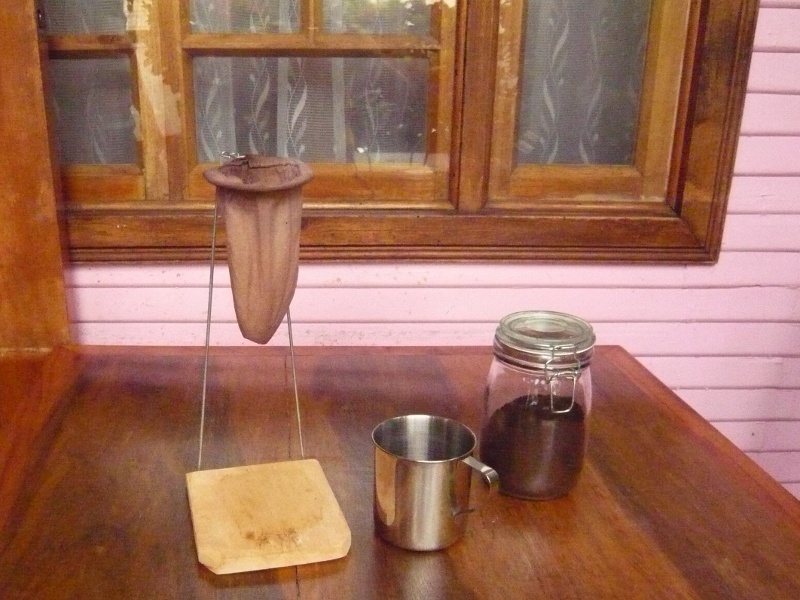 Here you see images of the traditional way of brewing coffee in Costa Rica. 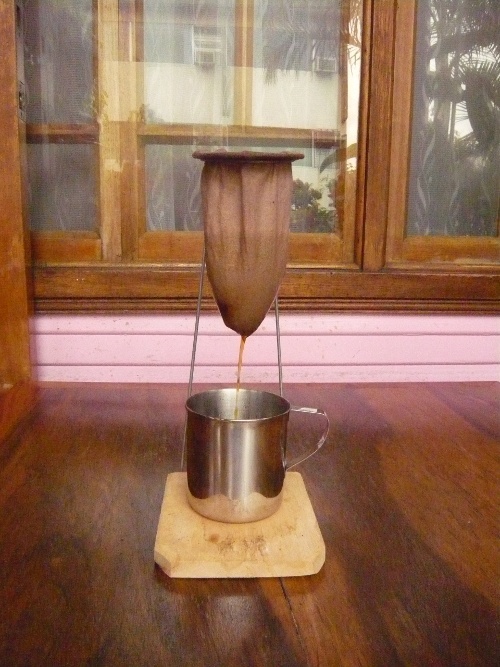 Take a simple coffee sock filter, which reminds of a sock and is suspended wire frame. Fill the sock with ground coffee and add boiling water. Your coffee is ready! 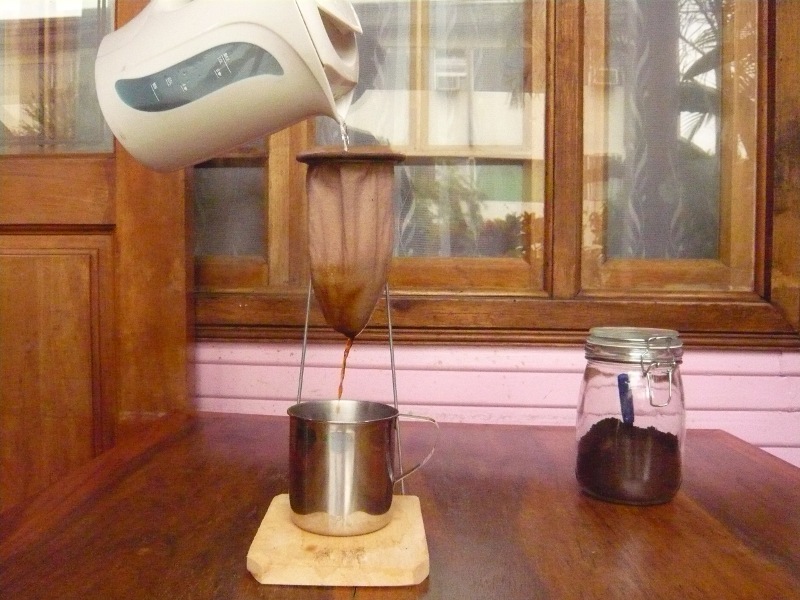 The system works pretty much like plain drip filter coffee, but is more convenient if you just need one quick cup of coffee. 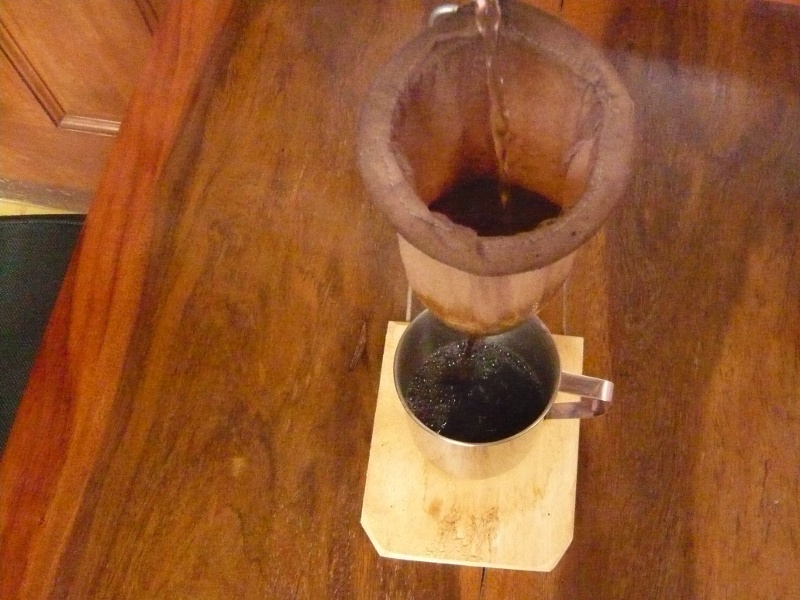 In Costa Rica, this type of coffee is colloquialy known as "agua de medias" (sock water). Find more information about coffee here. 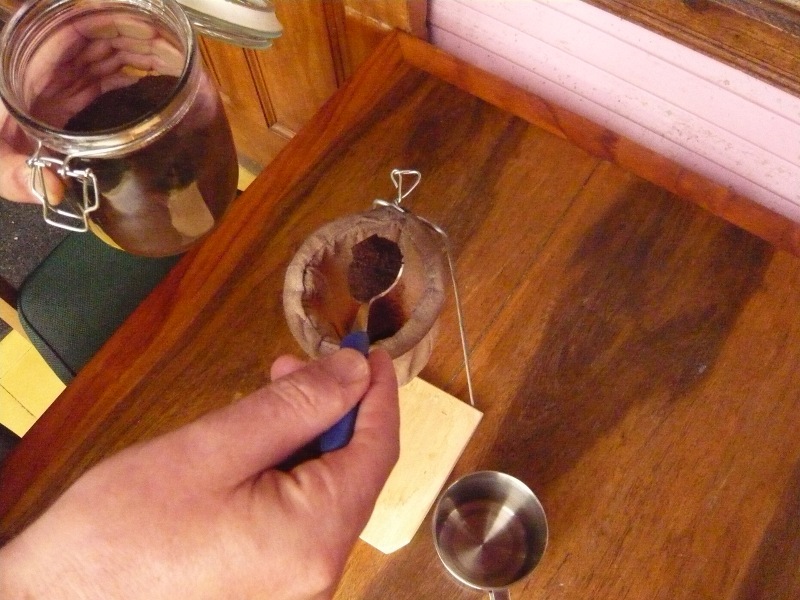 Contact us if you are interested in a coffee tour in Costa Rica to learn more about coffee production.